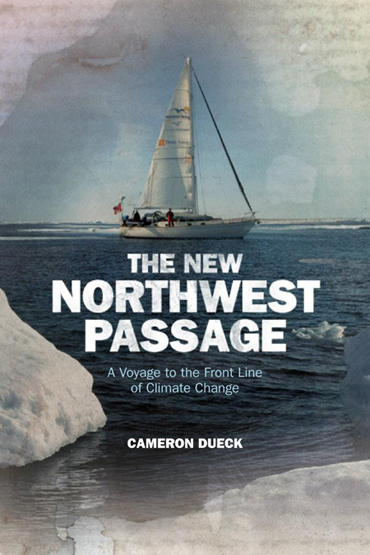 Bientôt en librairie, The New Northwest Passage! Le skipper et explorateur polaire Cameron Dueck sortira dans les jours suivants un livre polaire qui retrace sa traversée du mythique et célèbre Passage Arctique du Nord-Ouest (en images ci-dessous). Son ouvrage s’intitule « The New Northwest Passage ». Cameron has produced as well a documentary on this incredible Arctic adventure. He is looking for Media sponsors who could help him to broadcast his film. If you can help Cameron please contact him at following address cameron.dueck@gmail.com or myself at patrick@arctic05.org Please find here below his Video Trailer. Otherwise please visit www.OpenPassageExpedition.com for more information. Open Passage – Trailer from Cameron Dueck on Vimeo. « … Open Passage is a documentary that tells the story of a sailing voyage through the Northwest Passage in the Canadian Arctic, as well as the story of the people who call this remote place home. Directed by Cameron Dueck. Trailer edited by Seamus Walsh. The 40-foot yacht Silent Sound bumps through ice and fog in the infamous Northwest Passage, her small crew nervously scanning the horizon for clear water. Fewer people have sailed this passage than have climbed Mt Everest. These waters are normally locked in ice, but due to climate change it is now possible to sail here for a few short weeks each summer.